We recently discussed the benefits of craniosacral therapy. Now let’s talk about why we recommend craniosacral therapy and/or manual muscle therapy. There are eight different sensory systems in the body. First there are the tactile, vestibular, proprioceptive, and interoception systems. Then there are the “functional four” which are visual, auditory, taste, and smell. Interoception is your perception of stimuli originating inside the body from the internal organs. One of the reasons we might encourage your child to be seen for craniosacral therapy, or manual muscle therapy, or both, is because they are demonstrating an inability to self-regulate, or calm themselves. Our kids may have held it together all day long, and when they are in the car after a long day at school, or at home, they may have a headache, or stomach ache, and not communicate it. For whatever reason they may not be aware of their bodies, or they might not have the language to communicate. When we combine the Alert Protocol (or “How does your engine run?”) with craniosacral therapy or manual muscle therapy techniques, we can help our clients gain a better understanding of their organs and what they are doing. Following a treatment session we follow up by asking, “Where is your pain level now?” The kids are usually able to tell us that their anxiety, fatigue, or pain has lessened. Some of our clients who have received craniosacral therapy, manual muscle therapy, or both, for years, are able to communicate to us a particular step in the protocol which they need to reduce their anxiety or pain. When they can tell us which step they need, that shows us that we have helped them increase their body awareness. 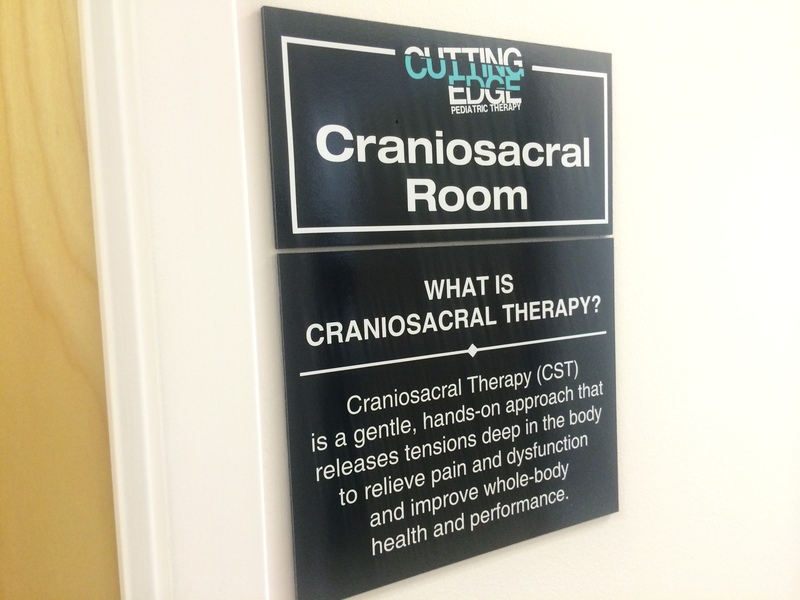 If you have any questions regarding craniosacral therapy, please give us a call!